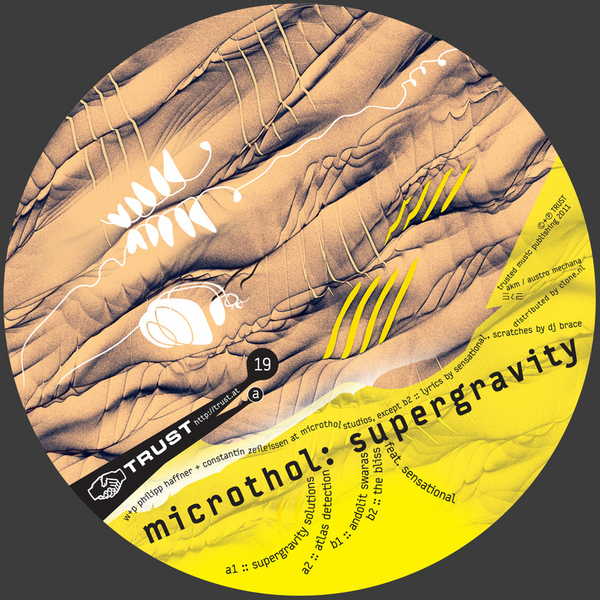 Microthol's first release in two years features a guest vocal from Sensational on the HipHop timed 'The Bliss' plus three diverse yet distinctive Electro cuts. 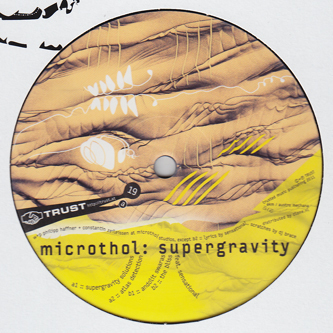 The A-side is engineered for the dancefloor: 'Supergravity Solutions' slips from their more usual pace to sexier ElectroHouse flow, pushed by big-bottomed 808s reminding of Drexciya's Abstract Thought productions and entranced by glistening, squirting melodies, while 'Atlas Detection' is craftier, working on depth-finding subs and and range scouting alien melodies. Flipside it all gets more abstract with the elegantly twitchy and exotic swirl of 'Andalit Saras', and that optimised Sensational banger. Quality.